Three more of CBS’s new shows have picked up early full season orders. All three – God Friended Me, The Neighorhood, and Magnum P.I. – have increased ratings in their time slots over last year’s numbers, prompting the decision to announce an early increase in their episode numbers. CBS previously announced freshman drama FBI has earned a full first season. According to the network, the biggest improvement over the 2017-2018 fall primetime season numbers came from the reboot of Magnum P.I.. The action drama has been pulling in an average of nine million viewers, up 50% over last year’s Mondays at 9pm ET/PT ratings. The Neighborhood has been showing a 14% increase over 2017’s Kevin Can Wait‘s numbers during the same Mondays at 8pm ET/PT time slot. More than eight million viewers have been tuning into the half-hour comedy since it debuted on October 1, 2018. God Friended Me‘s 10 million viewers have earned the show the #1 spot among Sunday’s scripted series. Airing Sundays at 8pm E/PT, God Friended Me has increased CBS’s viewership over last year in the same time period by 8%. 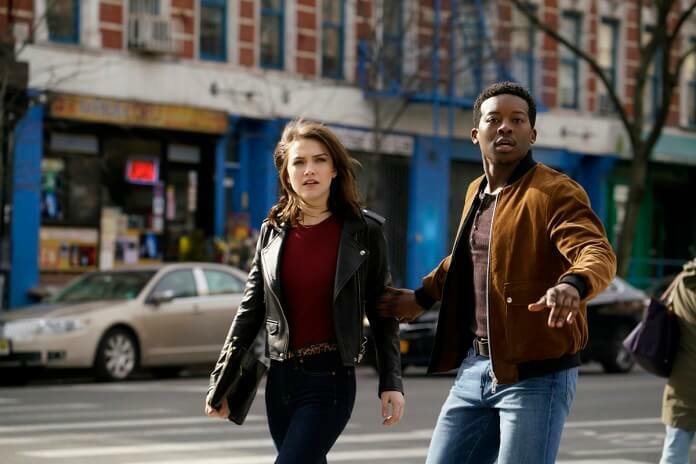 The cast of God Friended Me is led by Brandon Micheal Hall and Violett Beane. Suraj Sharma, Javicia Leslie, and Joe Morton also star in season one of the series which is executive produced by Steven Lilien, Bryan Wynbrandt, Greg Berlanti, Sarah Schechter, and Marcos Siega. The Neighborhood stars Cedric the Entertainer, Max Greenfield, Beth Behrs, and Tichina Arnold. The cast also includes Sheaun McKinney, Marcel Spears, and Hank Greenspan. Cedric the Entertainer pulls double duty as executive producer along with Jim Reynolds, Aaron Kaplan, Dana Honor Wendi Trilling, and Eric Rhone. The remake/reboot of Magnum P.I. finds Jay Hernandez taking on the titular role originated by Tom Selleck. Joining Hernandez in season one are Perdita Weeks, Zachary Knighton, Stephen Hill, Tim Kang and Amy Hill. Peter Lenkov, Eric Guggenheim, Justin Lin, John Davis, John Fox, and Danielle Woodrow executive produce.